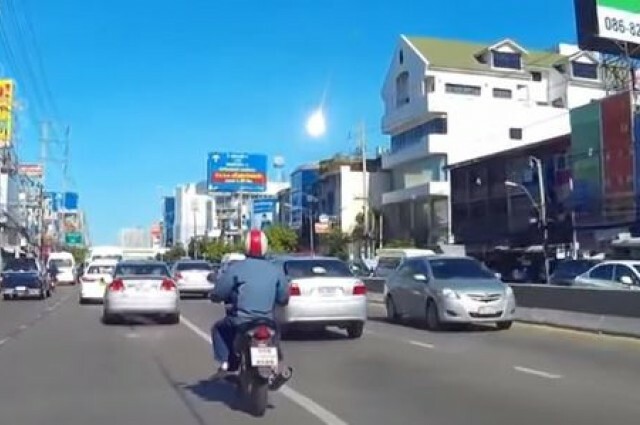 A meteor was seen over Bangkok, Thailand, just this morning and captured on several dashboard cameras. This vivid event took place at 8:45 a.m. local time (2:45 a.m. BST), with the object turning tremendously bright as it burned up in the upper atmosphere. Some news propose it was followed by a thunderous explosion, likely triggered by its speed. There is at this time no evidence that it touch the ground, which means that for now it is categorized as a meteor and not a meteorite.